Spartanics laser cutting solutions have revolutionized the way that printers, converters and printing application specialists run their business. The superiority of Spartanics laser cutting systems are based on the sophisticated quality and depth control of software; tuned to handle the complexity of laser cutting behind the scenes and ultimately making an operator’s job minimal. The Spartanics L-Series offers best-in-class laser cutting systems for 210mm and 350mm. Depending on the cut configuration, the speeds of the L-Series Laser Cutting Machines can reach up to 100+ meters per minute. 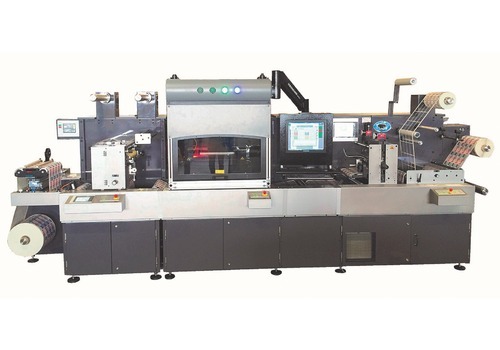 A standard 400W laser system with a single source scan head design meets most digital printing applications. Slitting, lamination, UV varnish, hot stamping and rotary sheeting options are available with the L-Series Laser Cutting Machines.